News - Agricultural Missions, Inc. 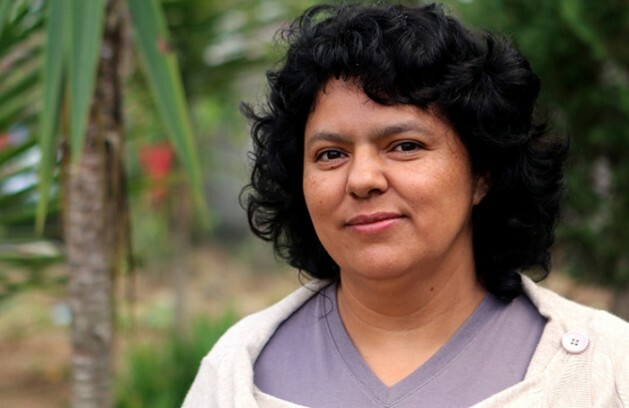 Agricultural Missions, Inc. (AMI) expresses profound grief and indignation at the news of the cowardly assassination of Berta Cáceres, Lenca leader of COPINH (the Council of Popular and Indigenous Organizations of Honduras). We express our condolences to Berta’s family and to the members of COPINH. The world has lost a courageous, inspiring and intelligent leader and her loss is incalculable. Berta’s leadership role led to her receiving international recognition as a recipient of the Goldman Environmental Prize while, simultaneously, at home she was faced with numerous death threats, leading to her being under officially mandated protective security by the Honduran government. The relentless advocacy of COPINH in defense of their ancestral lands and recent protest of a controversial development project, the Agua Zarca Dam in the community of Rio Blanco, have led to the murders of Berta and four other influential members. Since 2000, Agricultural Missions, Inc. (AMI) has worked in accompaniment and solidarity with Berta and COPINH, educating and engaging U.S. advocates in support of their work on behalf of the Lenca people. With full conviction, we denounce this attempt to cause fear and the belief that no indigenous or campesino person is safe and re-confirm our commitment to seek justice for the Lenca people. AMI calls organizations and individuals working for social, political and economic justice to stand in solidarity with COPINH in defense of their lands by writing a letter to the US State Department demanding they hold the Honduran Government responsible for a thorough and credible investigation of Berta’s killing. We call for the participation of international human rights monitors and a transparent process. Write U.S. Secretary of State John Kerry Now! This act may have silenced our beloved sister’s spoken words but her legacy screams loudly in our hearts and will be demonstrated in the actions of all of us that remain to fight another day.